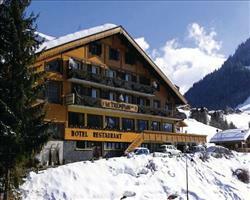 Hotels are scattered all around the village here, built in the traditional chalet style we love about Châtel. Le Tremplin’s set a bit out of the resort centre, with the walk in taking about 8 minutes and the bus stop right outside for access to the Linga telecabine and ski schools. Choose three or four star properties with swimming pools and spa facilities for the ultimate après ski relaxation at the end of the day – having a Jacuzzi just moments from your bedroom certainly has its perks! Most of our hotels here come on a half board basis, keeping meal plans simple by serving breakfasts and suppers in the same place all week. If you’d like to look at other hotels in the Portes du Soleil region, click here, or to view everything available in all of the French resorts, see our France hotel page here. Find more French properties on our France Ski Hotels page if you’re not set on skiing Chatel in particular, or broaden your search beyond the border using our main Ski Hotels page - using the advanced filters to sift through thousands of properties worldwide.